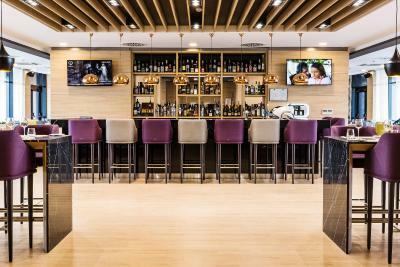 Lock in a great price for Best Western Premier Sofia Airport Hotel – rated 9 by recent guests! Very quiet (despite being located very close to the airport), comfortable beds, very good breakfast, friendly and helpful front-desk staff. Thanks for upgrading the room for my wife birthday, it was amazing. Cristina, thanks for the cake and warm wishes. We won the Guests of the day ... it was just great! We had a long layover in the Sofia Airport and stayed here for one night. The rooms were huge, clean and modern. The staff was very professional and nice. Also, the free airport shuttle was nice. Location is great and the airport shuttle is very convenient, so I would stay here in the future. Very good breakfast, comfortable room, we enjoyed a lot after 20 hours flight. We were upgraded. Thanks for everything! It’s close to the airport, which is why I stayed there. Friendly staff, nice restaurant and room was very nice. The hotel completely fulfilled all areas of travel... my room was clean & quiet; the staff were knowledgeable and friendly. The staff as a whole were very engaging. 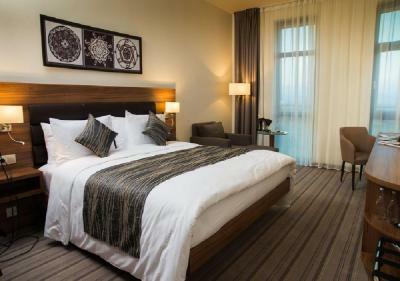 Best Western Premier Sofia Airport Hotel This rating is a reflection of how the property compares to the industry standard when it comes to price, facilities and services available. It's based on a self-evaluation by the property. Use this rating to help choose your stay! 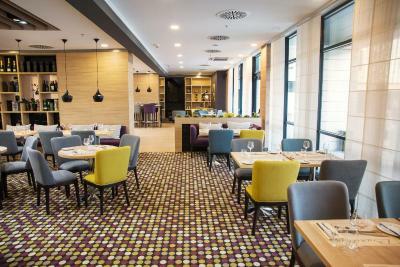 One of our top picks in Sofia.The newly opened modern 4-star Best Western Premier Sofia Airport Hotel is located in a new business district, only 2,450 feet away by car from Sofia International Airport Terminal 1, 0.6 mi away by car from Sofia International Airport Terminal 2, 2,950 feet away from Sofia Airport Center and 1.4 mi away from Trade Center Europe. 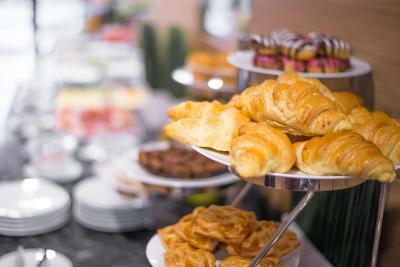 On site Grab&Go early breakfast is offered for guests from 4:00 o'clock until 7:00 o'clock, as well as a buffet breakfast from 7:00 o'clock until 10:00 o'clock. 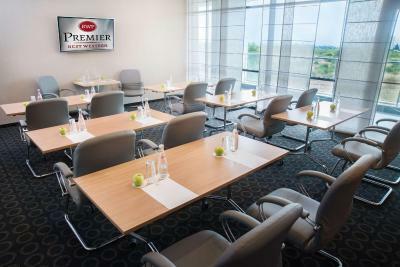 The stylish Best Western Premier Sofia Airport Hotel provides rooms with splendid Vitosha Mountain or Sofia Airport views. 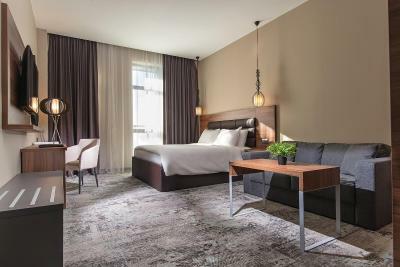 They are all air-conditioned and feature Suite Dreams® by Serta beds, soundproofed opening windows, a laptop size safe, HD channels on a 32-inch LCD TV, a mini-bar, an ergonomic working desk and complimentary WiFi. 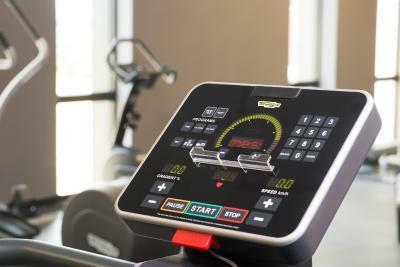 The hotel has a 24-hour Technogym fitness center. 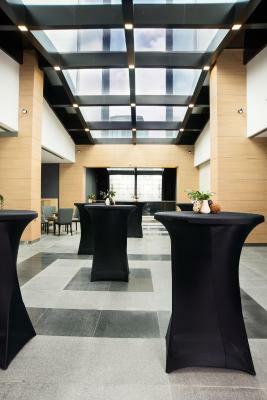 A high-tech separate conference floor with natural light is available for up to 400 people. 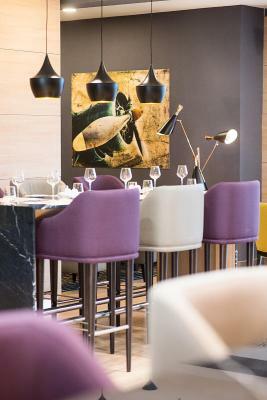 The Barillon 1909 Bar & Restaurant with its open kitchen offers international food within an innovative atmosphere. 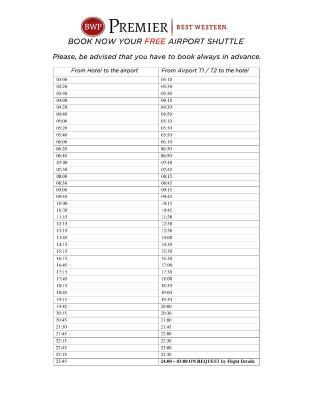 The hotel provides two-way complimentary scheduled Airport Shuttle which is available to book upon request. 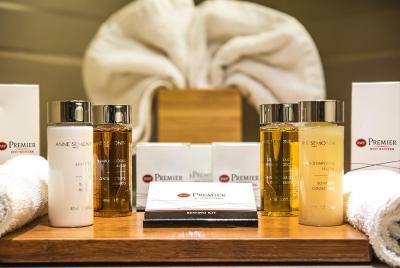 Free parking is available on site during your stay. 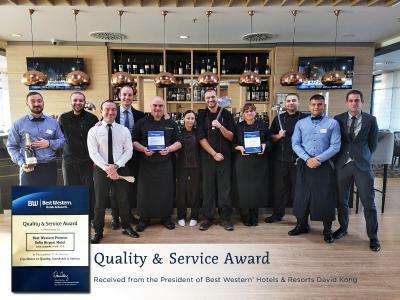 When would you like to stay at Best Western Premier Sofia Airport Hotel? 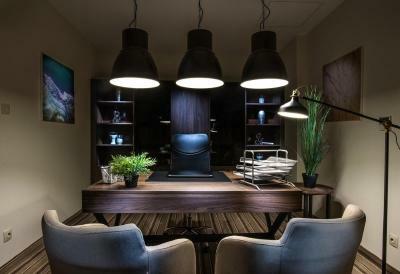 This room features a luxurious bed, working desk and comfortable armchair. Tea and coffee facilities are provided. 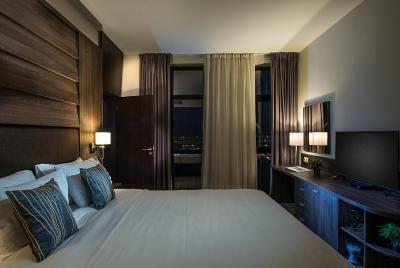 This suite features a luxurious bed, a separate living area, 2 LCD TVs and a working desk. 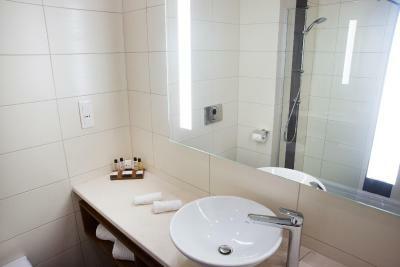 Its bathroom is stocked with a shower and a bath. 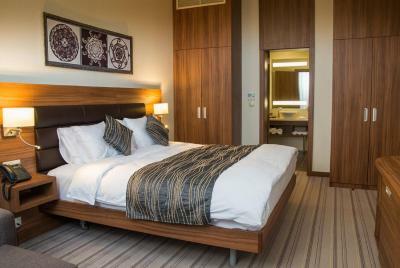 This room offers a luxurious bed, working desk and sofa bed. Tea and coffee facilities are provided. 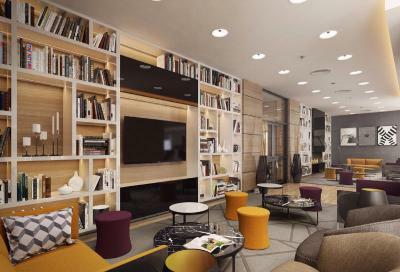 This apartment features a soundproofing, seating area and kitchenette. This studio has a electric kettle, soundproofing and mini-bar. 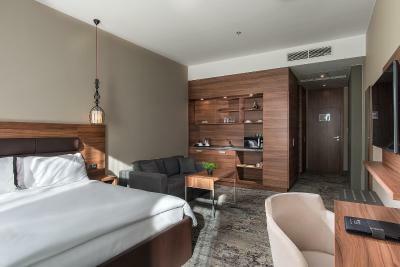 This newly opened, modern 4-star BW Premier Sofia Airport provides 155 spacious rooms with splendid Vitosha Mountain or Sofia Airport views, a 24-hour Technogym fitness area and a business centre. 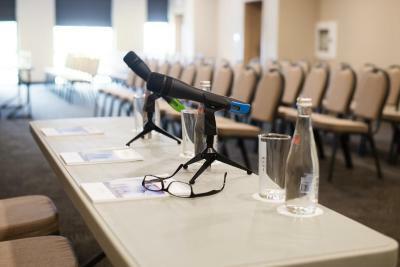 House Rules Best Western Premier Sofia Airport Hotel takes special requests – add in the next step! 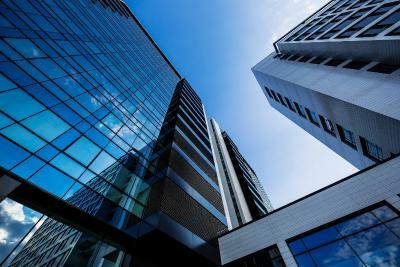 Best Western Premier Sofia Airport Hotel accepts these cards and reserves the right to temporarily hold an amount prior to arrival. 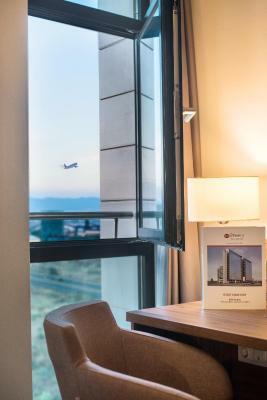 Please note that the hotel offers a 2-way complimentary scheduled airport shuttle, stopping at both Terminal 1 and 2 of Sofia Airport. The shuttle is available only if booked in advance at reception desk with the contact details provided in your confirmation. The bar closed at 11.30, only 30m after I arrived late at night at the weekend! 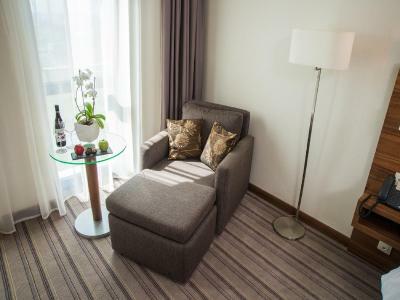 in a modern hotel and luxurious hotel, it was expected that they will pay attention also to families with childrens who are staying at the hotel, There are no playground facilities for children, no gymboree, activities room, etc. Location a mile from airport so you have to wait for a shuttle bus. Breakfast was so so. Coffee and juice and most fruits not fresh. They have a free shuttle! Very pleasant rooms. Quiet. Friendly and competent staff. This was our best stay in Sofia, very close to the airport with frequent airport shuttle service... friendly staff and very good breakfast! Snow covered mountains n city view from the room!! 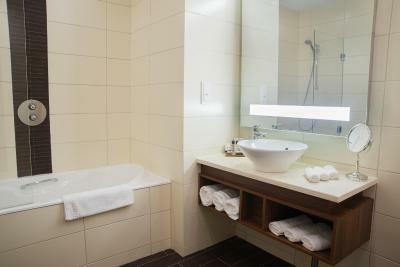 Good sized room and bathroom. 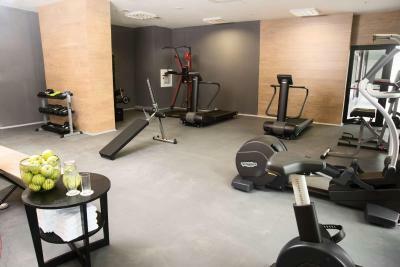 Smart well run hotel Excellent fitness centre Great breakfast restaurant and plenty of choice to eat. Free shuttle bus to and from the airport Excellent hotel, well recommended!